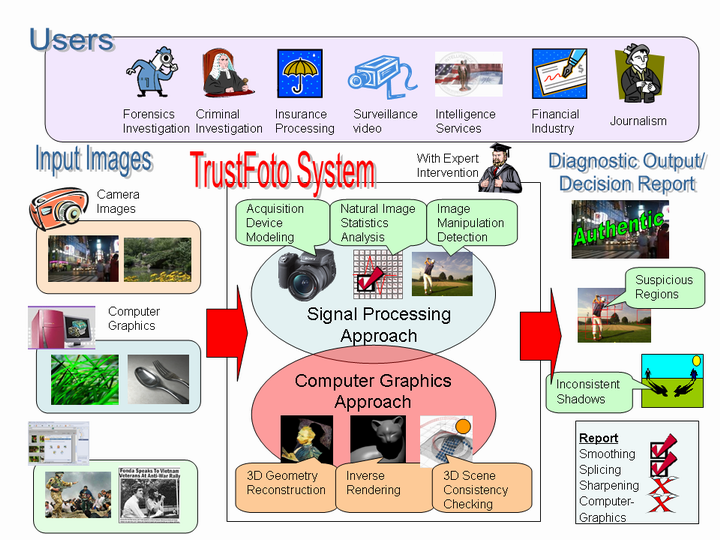 Trustworthy photographs play an important role in many applications such as news reporting, intelligence information gathering, criminal investigation, security surveillance, as well as health care. However, with the advent of digital age, the trustworthiness of pictures could no longer be taken for granted. 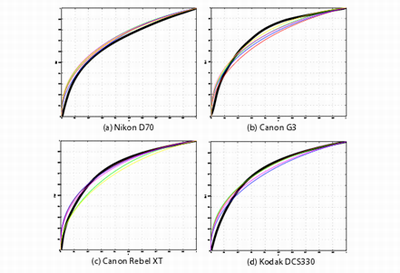 This project will develop a completely blind and passive system for detecting digital photograph tampering. No extra encryption, signature extraction, or information embedding processes are needed. Content tampering operations are detected at the point of checking by analyzing the natural signal/scene characteristics in the image. We take an innovative approach integrating techniques from signal processing and computer graphics. 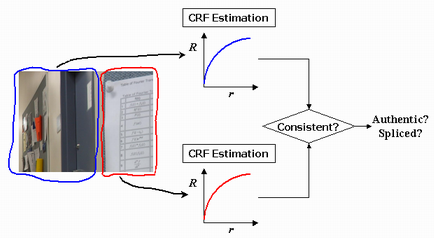 The signal processing method involves effective use of higher-order signal statistics, signal acquisition device modeling, image decomposition, and image structural analysis to identify tampering artifacts at the signal level. The computer graphics approach includes novel techniques of 3D geometry estimation, illumination field recovery, and scene reconstruction to detect inconsistency at the scene level like shadows, shading, and geometry. We aim at a successful system that makes any attacking maneuver as difficult as possible. The system will also provide equal emphasis on robustness and informativeness – suspicions will be explained with locations and reasons. To achieve broader impacts, the proposed research will include deployment of a public image forgery detection engine, release of a large original data set, and definitions of evaluation benchmark. National Science Foudantion Cyber Trust Program, Award No IIS-04-30258.